"For some years now Urstad has been collecting radio clips that refer to concrete places and times; 23 Uhr in Deutschland, Cinco de la Manana en Madrid, Hilversum 16:00, Saint Johns 7:30 while 7:00 in Nova Scotia. In Meanwhile, in Shanghai... these short clips are joined to form a composition in the exhibition space and, together with local radio stations, white noise and interference are edited into an open form. 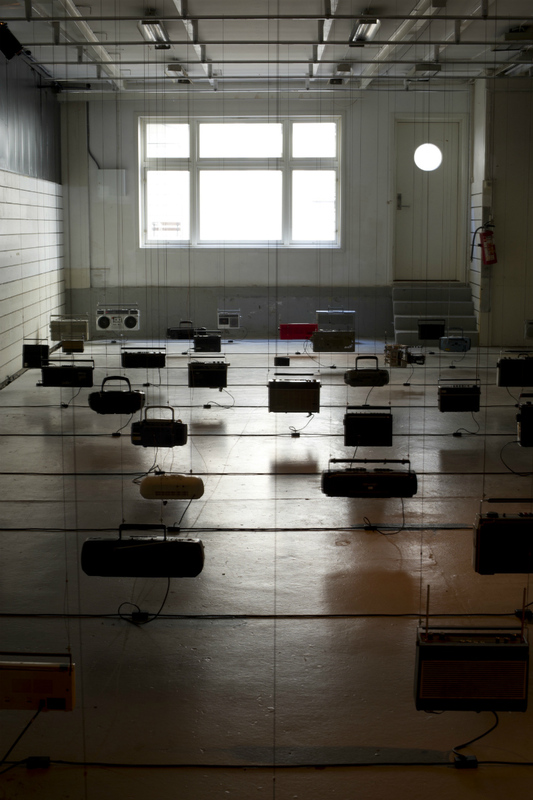 Dozens of different radio sets, suspended on long strings from the ceiling, play a mix of recorded radio sounds in the exhibition space, broadcast through local FM-transmitters. An audio dynamic sound sculpture is the result, which the visitor can enter, and which reflects in a playful way on aspects of technical development and motion, on proximity and distance, and on globality, and how we relate to it. The idea of a universal time is questioned almost incidentally. Time, which is subjectively perceived, and the imagination of the visitors - Meanwhile, in Shanghai…- seem to play their own game with both time and space". Carsten Seiffarth, Curator of Singuhr Hoergalleri, Berlin. 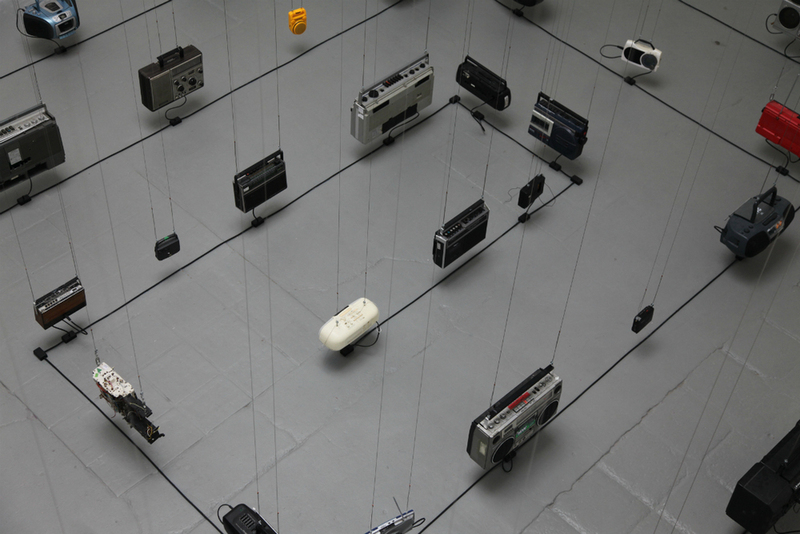 Materials: Portable radios, 3 FM-transmitters, multichannel media player, mounting hardware. This work was produced as part of the RESONANCE network, a European collaboration that focuses on the production, the presentation, the documentation and exchange of experience in the field of contemporary sound art'. Also supported by Bergen Kommune and Norwegian Arts Council.